Asaf Hikmat, a West Bank Palestinian teen, can hardly concentrate on his upcoming exams, as he has been on the lookout for Israeli soldiers ever since he found his face on an IDF wanted poster. “We got very afraid when they put our pictures up, they are threatening that they will arrest us and they will come and take us from our homes,” Asaf relayed his fear to RT correspondent Paula Slier, who is reporting from the West Bank. The posters depicting the children as outlaws with a bounty on their head are just part and parcel of the IDF’s intimidation techniques, argues Murad Shtaiwi, Coordinator of the Popular Resistance Committee. “Every night, nearly, they come and shoot tear gas and sound bombs toward the houses to frighten and to let the children live in very bad psychological situation,” Shtaiwi told RT. 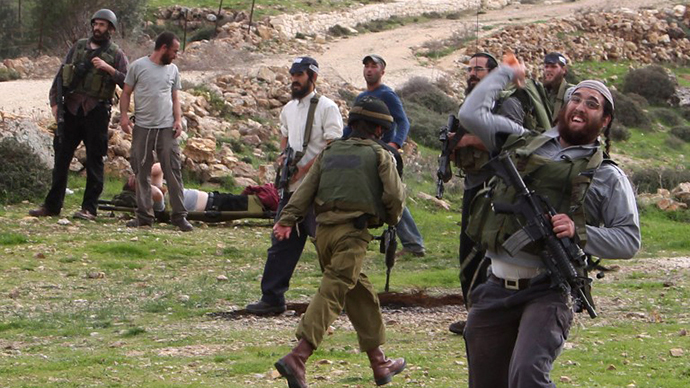 The Israeli settlers have been justifying the harsh measures taken by the military against the protesting Palestinian youths. The head of the local council for the Karnei Shomron settlement, Herzl Ben Ari, says every day when he gets into his car, his life is put in danger. 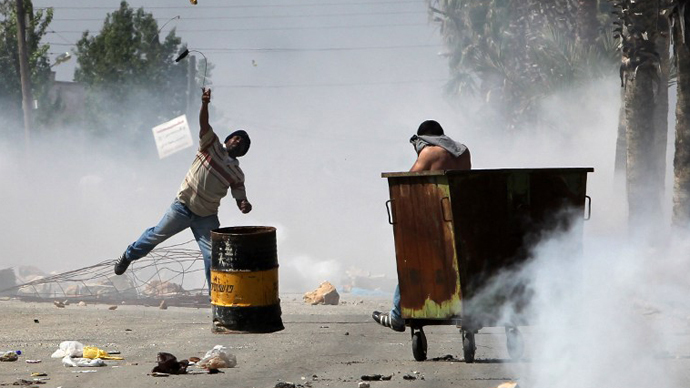 Israeli statistics say rock throwing incidents are up by 110% over the last several months. And the military insist they are helpless against them as they are clearly prohibited from targeting noncombatants. It becomes murky when they feel threatened. “There is a chain, which begins with soldiers being afraid to act because they are not backed up by us, it continues with the Palestinians understanding that the soldiers will not act, the Israeli deterrence is weakening, the terror is growing, Israelis get hurt and Israel is not protecting its citizens. We need to give our soldiers the freedom to act and to back them up when needed,” says Mordechai Yogev, Parliamentarian & Member Of Knesset Foreign Affairs And Defence Committee. 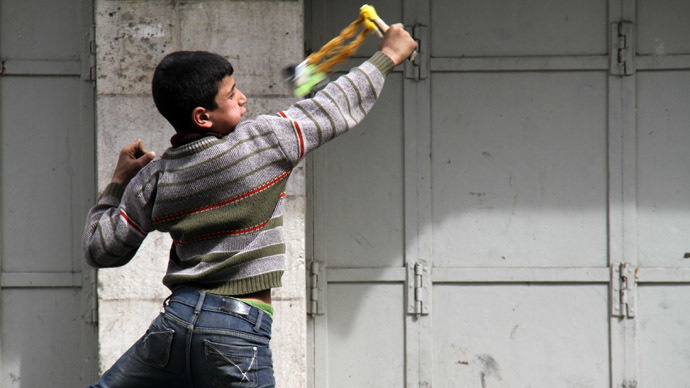 The IDF’s alleged inability to act when faced with noncombatants, however, does not save Israel from a dismal track record in terms of dealing with Palestinian children. 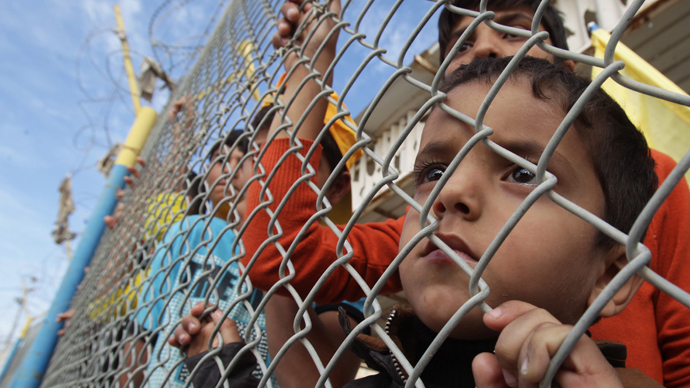 TheUN Committee on the Rights of the Child issued a reportin June, finding that thousands of Palestinian children were systematically injured, tortured and used as human shields by Israel. During the 10-year period examined by UN human rights experts, up to 7,000 children aged 9 to 17 were arrested, interrogated and kept captive, the report said. Just last week, a video was released showing a 5-year-old Palestinian boy being detained by the Israeli military, allegedly for having thrown stones at soldiers. Violence has recently been mounting in the occupied West Bank, as Israeli settlement construction has reached a seven-year high, according to Peace Now, an Israeli NGO. 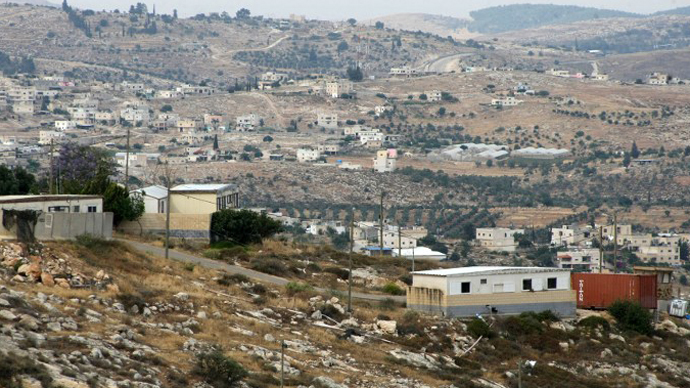 Palestinians see Israelis stopping their settlement construction in the West Bank as a major pre-condition for peace talks, while the Israeli keep reiterating they have no intention of doing so.